Last week Focus Home Interactive was holding a preview event of all their 2016/2017 line-up and we had the chance to attend several presentations. Even though we walked away eager to try out each of the games shown, we've opted to focus on a small sample of titles since we discussed the rest at length in our Gamescom podcast spectacular last year. What you are about to read here should be 100% new then, so if you want to find out more about Space Hulk: Deathwing, Vampyr, Call of Cthulhu and The Surge, please join us inside. Although we had seen a couple of trailers of the game, we clearly did not expect to be that pleasantly surprised by Streum On's title when we sat to watch the demo played by one of the French developers. This new game set in the Warhammer 40,000 universe is a tactical FPS running on Unreal Engine 4 and it was without a doubt the most visually impressive game of the line-up. The narrow corridors of the spaceships in which the two missions were taking place were incredibly atmospheric, thanks to the superb lighting effects and detailed geometry. Some of the rooms or warehouses we also saw looked just as great, with sometimes stained-glass Windows or old statues that made us feel like we were exploring an old cathedral. Again, we cannot stress this enough, but Space Hulk: Deathwing is a visual treat, with lots of details in the environment, blood splatters which appear in real time as you smash your way through tons of enemies. 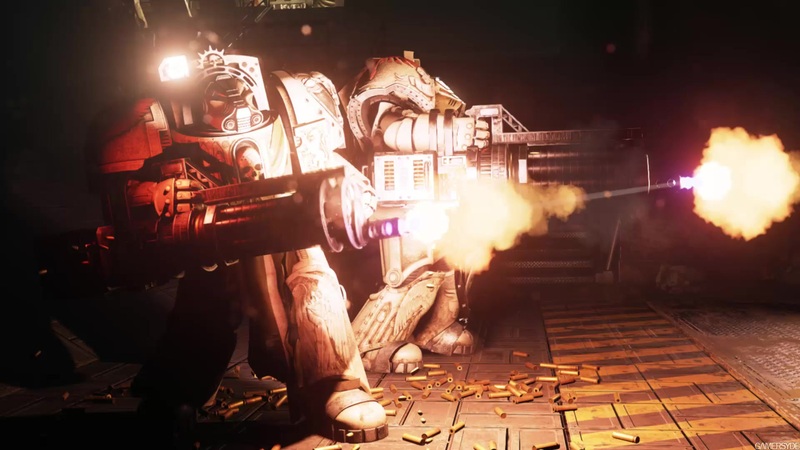 Set in a very distant future where there is no hope left for humanity, Space Hulk: Deathwing puts you in the shoes of a Space Marine, your kind being the only people capable of slowing down the end of mankind. You will always be accompanied by a squad of marines who will offer support whether you give them orders or not. We were told that a hacking system would allow the player to turn the spaceship's defenses against the enemies, but doors can be hacked too if you don't want to force your way through. The number of melee and distant weapons seems to be pretty big, with different possible sets you can choose from. The gatling gun looked really fun to use against multiple foes, but seeing the developer taking them down with a sword or a big gun in combination with a shield was just as exciting. After each mission, you will be given a rank depending on how well you tackled it and this will allow you to unlock new skills for you and your teammates. Also interesting is the inclusion of localized damage on the enemies and the player, meaning that every part of your armor can be broken. If your legs are hit, it will translate into slower movements for example, which will require the intervention of your medic. It will also be possible to teleport back to a special room where you will be able to switch gear at any time before you get back on the battlefield. The game will also feature a co-op mode which should be similar to the main story mode with even more action packed levels. Considering that what we saw of the single player campaign seemed pretty crazy already in terms of enemies, playing with friends should be challenging enough to make the game even more thrilling. Last but not least, multiplayer will obviously be included in the package, though we don't know much about it yet really. What is certain is that we are now completely hyped. We love the art style, the visuals are great, atmosphere seems to be on par with the rest and we just want to play it ourselves. Back when Call of Cthulhu was announced, we were really looking forward to seeing what Frogware would do with the famous Lovecraft universe. Last week, we were surprised to learn that apparently Frogware's work on the game had not managed to convince Focus Home Interactive and that French developer Cyanide Studio had taken over the project, starting from scratch. The main common point with what was originally anounced is that Call of Cthulhu remains an RPG/Investigation game which will respect the Lovecraftian presentation of the original author. The scenario will be written by Mark Morisson, who is famous for having worked on the pen and paper RPG, and those who have played Horror on the Orient Express, Escape from Innsmouth, Terror Australis or Mansions of Madness should be reassured. We are no experts but the very fact that Cyanide and Focus decided to hire one of the best specialists of the Cthulhu universe to make sure the story is faithful to Lovecraft's work is promising in itself. The developers told us they want to use the same codes as in the novels, but they are also hard at work to make sure the game will be a true transcription of the pen and paper RPG. The story starts in 1924 during the roaring 20s, a period of prosperity and prohibition. You play the role of Edward Pierce, a private investigator who is also a veteran from the Great War. Pierce will be hired by a client whose daughter died in a car accident in mysterious circumstances. After realizing the police report was botched and the bodies were burried a little too hastily, the father decides to investigate. Call of Cthulhu will take place on Dar Water Island, an island off the coast of Boston, and will feature a mature story in whcih all the characters will have their own background. As you can expect, the islanders will not be particularly welcoming and will make your job much harder. Being a true RPG, Call of Cthulhu will obviously allow you to choose from a set of different skills which will have an impact on how things unfold. For example, you will be able to intimidate someone in order to get information from them, but even if they help you first, they may turn against you later on and become your enemies. On the contrary, if you behave in a certain way, you could manage to get extra help in the future. As there will be several branches for the scenario, not everyone should have the exact same experience, which means we can expect multiple endings and some potential replay value. There will be various quests, most of them requiring you to fully explore your surroundings and to investigate and find clues to discover the mysteries of Dark Water Island. The notion of freefom of action seems important. To inspect a house, you will for example have two options: find a way to be invited in or simply sneak in. 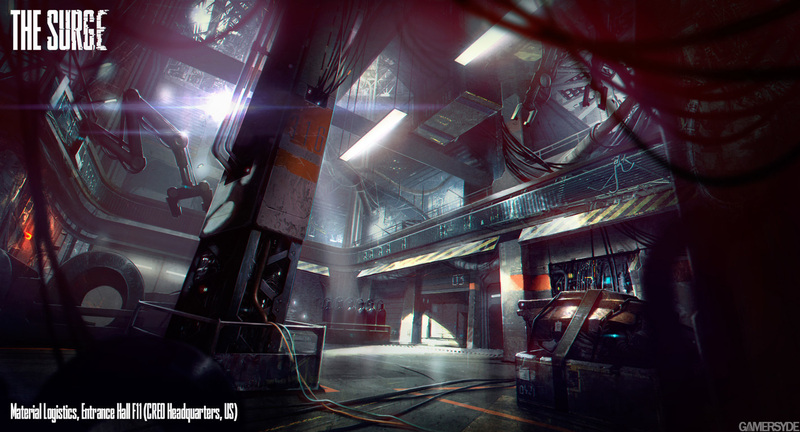 The gameplay mechanics will revolve around several systems. Just like in the excellent first half of Dark Corners of the Earth, stealth will always remain your top priority, especially against the creatures of Cthulhu that you cannot just shoot down for good. The confrontation system will force you to find a way out of combat, using your environment to slow down your enemy for example, and even sometimes bullets, though the game is not meant to be an FPS. Because it is a Call of Cthulhu title, a Horror system has also been implemented, something which sounds a bit like what Eternal Darkness did in its time. The loss of sanity will have you experience illusions, which is both a good and a bad thing. On one hand, seeing the Lovecraftian reality will allow you to understand certain things. On the other hand, because there will be no way to get a bit of your sanity back before the end of the mission, it could mean a possible return to the last save point - at least that's what we reckon. More surprising maybe is the addition of a team of investigators working with you on the island. Each of them will have their own specialty and their own set of skills. Sending them on a mission will be fruitful as they will bring you back special items or hints. The system is reminicent of what Ubisoft did with Assassin's Creed at some point, but since we have seen basically nothing of Call of Cthulhu, we cannot confirm it yet. The developers told us that although some of your investigators might be more suited for certain missions than others, they can still bring you back something interesting for your investigation. 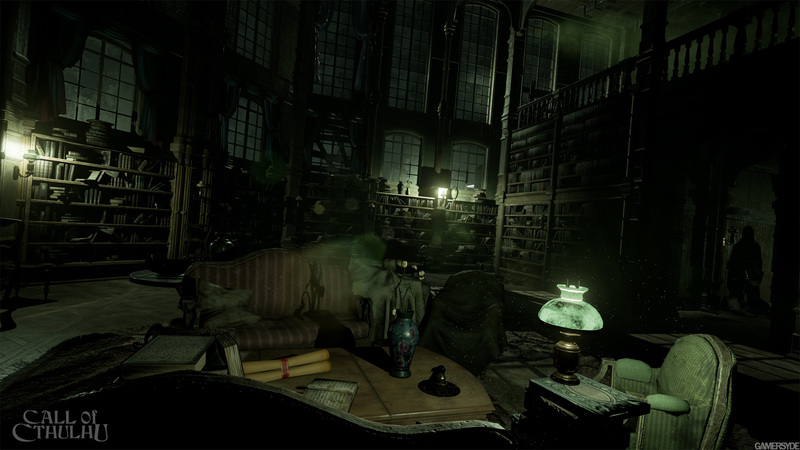 Obviously, it is all a bit vague as they have just begun the game's development, but provided they do manage to do what they want, it could be the best Call of Cthulhu game to date. We are not sure adding companions is that great an idea though, as loneliness and isolation are two powerful Lovecraftian themes, but we definitely want to see where all this is going. Deck13 may not be the most famous studio out there but their previous game still drew some attention when it was released. Lords of the Fallen was not always warmly welcomed by the press or players but the reviews were rather positive overall despite a few shortcomings. The biggest problem the game had was how slow its main character was, something that obviously worked in the main design but could also become overly frustrating for some. The German developers are back with a new publisher and a whole new setting with The Surge, a new action-RPG title based on the From Software formula. The idea behind the game was to take into account all the ongoing trends in the technological field and to project them into a very dark and grim future. The main character is your average guy who is trying to find a new job hoping to start a new life. When he gets hired in a company whose main goal is to curb the ecological problems in the world, things seem to take a turn for the best. Sadly for him, it is not long before all hell starts to break loose. Suddenly, all the machines seem to have gone crazy, including the exoskeleton of his colleagues, who strangely look more like zombies than humans now. We don't know anything about what caused all this since we weren't shown the introduction or given any details regarding the plot, but whether it's a computer virus, or another form of virus affecting people too, the main threat is apparently going to come from machines. Just like the Souls games and Lords of the Fallen, The Surge is based on a stamina based combat system, but this time, it is much more dynamic. Because the hero is also equipped with an exoskeleton, he is not going to be as bendy as Bayonetta, so you should expect a bit of inertia when attacking. That being said, the character moves around much faster than in Lords of the Fallen, with quick dodging moves and even the possibility to slide to avoid attacks. There is still a sensation of weight of course, but it made each impact look even more powerful. Making a Dark Souls carbon copy in a sci-fi setting would have been a bit risky though, so Deck13 added a few more personal features to the mix. With the help of the right analog stick, it is indeed possible to lock on to a specific body part of your enemy, which adds a new layer of strategy to the combat system. For example, hitting one of the legs makes it possible to interrupt your enemy's attack and to slow him down. Deck13 also decided to include what they call combat energy, a blue bar which fills when you hit your target and can either be used to activate the character's implants or to dismember your enemies provided you have dealt enough damage beforehand. The implants are software mods which work as new skills for the hero, giving him means to heal himself better, to have more stamina or health, etc. There will obviously be other ways to develop your character, with several weapon types (each having their own set of moves and skills) and body parts. Added to all, the levels won't be linear and will offer various paths to reach your goal, with verticality and heights. Bosses will also be one of the key elements in the game and the one we saw was pretty big and threatening with its many spider-like metallic legs. The demo ended after the end of the first phase, once all its legs had been cut off. Too bad, it would have been interesting to see how the main character would beat a flying robot. Last but not least in this preview article, we could finally see DONTNOD's Vampyr being played before us. After Remember Me and Life is Strange, the Parisian studio has gained a bit of a reputation so their next title is bound to be closely watched. Their new project is an action-RPG game which will feature real time combat and a full dialog system where your choices and behavior will have an impact on the game world. The story starts in 1918 during the Spanish flu epidemic in London. The British capital has become a ghost town because of the disease and the rise of violence. Jonathan Reid, the character you play, is a renowned surgeon who is also a war veteran, the twist being that he was turned into a vampire against his will. The developers want to emphasize the duality of the hero who will be torn apart between his desire to save people and his need for blood. Since drinking blood will be his only way to evolve and gain new skills, he is bound to kill innocent people in the process. The development team told us they absolutely want to create a believable world where every person you encounter has their own past, and even their own secrets sometimes. The importance of their connections and relationships with each other is also paramount in the game's design, as there will always be consequences when you decide to kill someone. We have been told there would be something like 50 unique characters living in the game world, and that every single one of them could be killed should you decide so. In the demo we saw, of the two characters Reid met on the street, only one stayed alive. The main thing is that the other man's death is supposed to affect the life of the other, which could lead to some interesting developments. To get what you want, you will be able to seduce people or even to control them completely, which will allow you to take them to a dark area to satisfy your thirst for blood. 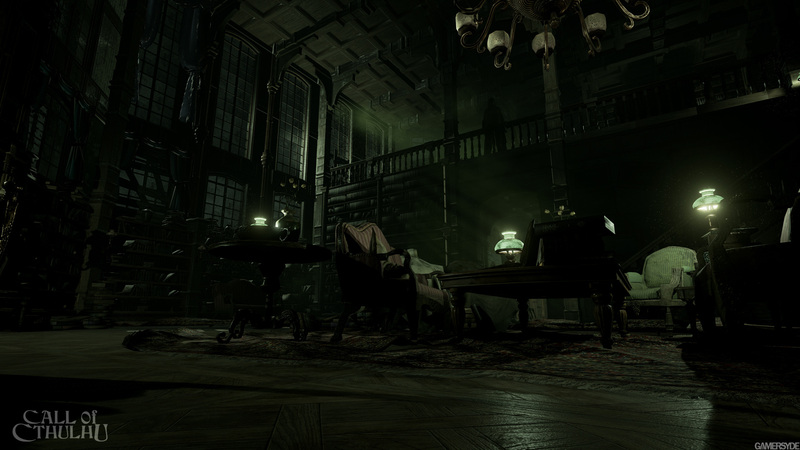 There should be some kind of mental resistance system to make it more interesting to play, and of course, being a vampire you will sometimes need to be invited in if you want to enter a building. The game will also feature a skill tree with vampire abilities like the spring ability. That's the one we were shown in the demo as it allowed Reid to teleport himself to more elevated areas like bridges or windows. This power also came in handy when the developer playing ran into vampire-like creatures (in fact former vampires like you but who turned into something hideous for certain reasons unknown to us). It was possible to use the skills offensively to jump on an enemy or to put some distance between you and your foes. Obviously, you will be able to upgrade this ability to match your play style, but keep in mind that not all abilities can be maxed out in one playthrough so you will have to make choices. A craft system is also planned but we haven't seen much of it. All we know is that ingredients and recipes will be required. More RPG features should be announced in the months to come. The demo we saw last week looked promising in terms of atmosphere, with nice visuals (the game runs on Unreal Engine 4), though not mind-blowing for the moment (this was work in progress and did not reflect the quality of the final game). Some animations are still a bit stiff at this point, but the game isn't due until 2017 so the developers have more than time to iron things out. 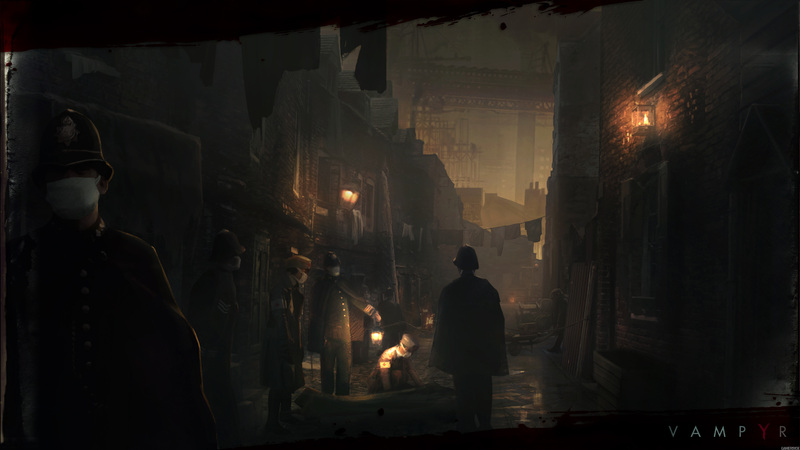 The streets of Whitechapel looked as gloomy and spooky as you'd expect them to considering the circumstances. The game world will be built around interconnected hubs so it won't be open world per se. Because of the spring ability, the level design will have a lot of verticality, which, added to the promise of indoor and outdoor areas, should mean a great deal of exploration is to be expected. To finish, environmental storytelling also seems to be very important for DONTNOD, so once again, it is a very promising project we hope won't disappoint when it comes out next year. Everything we saw at Focus Home Interactive's What's Next last week made us want to grab the controller to play, which is a good sign to say the least. All the games we saw are still in development, but they show great promise and we can only hope they will deliver when they are made available. Among the titles we chose not to talk about again, there was no disappointment either. Games like Seasons after Fall, Shiness, The Technomancer and Styx: Shards of Darkness should be released way sooner than the ones we mention in the article, so we will find out what they are truly worth before this end of this year (some probably before this summer even). The bottom line is that Focus Home Interactive have the most solid line-up they have ever had, and from the looks of it, that is to our benefit. 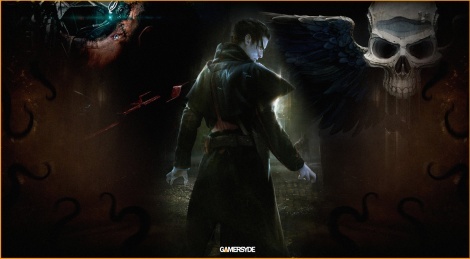 Out of them all, Vampyr is the only one that I'm interested in. I've been interested in it ever since the announcement, and everything I've read about it makes it feel like a modern Vampire: The Masquerade - Bloodlines, which gets me very excited for it. 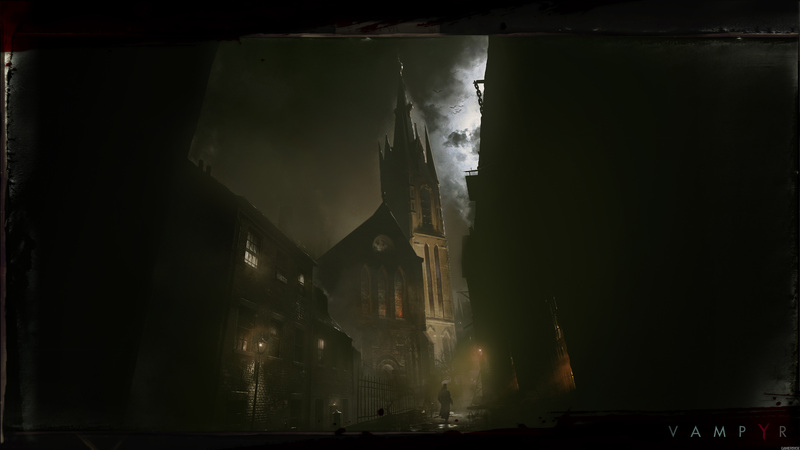 Hopefully, we will get to see and learn more of Vampyr at this years' E3. After that readup Call of Cthulhu seems like it has amazing potential. But it's of just PR talk, but hoping for the best here.